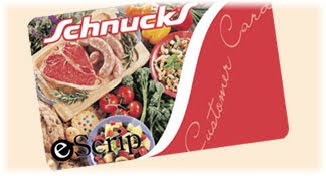 The Arc of the Mid-South is now participating in the eScrip program with Schnucks. Every time you use your Schnucks card, 3% of your purchase will be donated to our agency. This is a great way to support The Arc of the Mid-South and our mission to empower people with disabilities to achieve their fill potential in life. The best part is that it couldn't be easier. First, you'll need to get a customer card from your local Schnucks store. If you are already a Schnucks shopper, you can use your existing card. • Call (800) 931-6258 and provide your card number, the 12-digit number below the bar code on the back of the card. You'll also need to provide our group ID number: 500022601. • You can also sign up online. Click on "Register Online Now" and enter either the agency name - The Arc of the Mid-South - or our group ID number: 500022601. Again, you'll need to enter your 12-digit card number located below the bar code on the back of the card. Once your card is registered, all you have to do is shop. There's no catch, no hidden fees. Every time you shop at Schnucks, you're supporting The Arc of the Mid-South. Thanks and see you at Schnucks! We just wanted to thank everyone who made it out to our Open House event last Friday evening. We had about 100 people show up, tour our recently renovated space, meet other Arc supporters, make donations, and purchase Arc memberships and tickets to our upcoming 14th Annual Arc Benefit Gala. Visitors were given tours of the suites, including a look at the Practical Assessment Exploration System (PAES Lab), where our students receive their classroom job training. We even had some celebrities drop by. Carrie Guiden, Executive Director of The Arc of Tennessee and State Senator Reginald Tate were both in town Friday night and stopped by the office for a while. Carlene Leaper, Executive Director at The Arc of the Mid-South thinks the event was a big hit. If you couldn’t make it out but would like to contribute to The Arc, you can do it from the comfort of your own computer. Tickets to the Arc Benefit Gala can be purchased at our Gala page. Donations can be made to The Arc through our website and clicking on the “Donate” button in the lefthand column. We are all saddened by the death of Eunice Kennedy Shriver, founder of the Special Olympics and champion for those individuals with disabilities. Inspired by her sister Rosemary's disability, Shriver held "Camp Shriver" in 1963. Her hands-on approach to the camp led her to realize that the children with disabilities were much more capable than many believed, and she organized the first Special Olympics in Chicago in 1968. Throughout her long and fruitful life, she earned many awards, including the nation's highest civilian award, the Presidential Medal of Freedom. Carlene Leaper, Executive Director at The Arc of the Mid-South says Shriver was an important figure in the effort for equality. "It's a sad day for not just the disability community, but for the world as well," says Leaper. "Mrs. Shriver's efforts helped paved the way for organizations like The Arc to do what we do, which is empowering individuals with disabilities to acheive their full potential in life. She was a pioneer in the field and she will be dearly missed." While Shriver is gone, her legacy will last for generations to come.